Anders Breivik murdered 77 people in Norway. Some he blew up with bombs – tearing off limbs, bursting eardrums and rending brain matter as the immense pressure wave accelerated and decelerated in the various densities of the human skull. Most he simply shot. Breivik walked the paths of that small Scandinavian island, during a summer camp, seeking out and executing all in his presence. His victims were predominantly children and youths. He did these things because he believed in the inevitable and universal superiority of both Norway and his Nordic heritage. He blamed the parents of these children for allowing immigrants and other cultural contaminants to sully his nation. In other words, Mr. Breivik is a patriot and racist. Naturally, his victims were exactly the light skinned, blue eyed Nordic members of the master race he sought to protect. I suppose, in Mr. Breivik’s mind, the fact they made convenient targets overpowered his desire for a logically consistent racio-patriotic fantasy. Had Mr. Breivik blown people up to support patriotic and racial purity in the United States, he would almost certainly be burning through millions of dollars on death row. In a few decades, we could have watched his heart stop from a massive dose of potassium. But because he is Norwegian, he will serve a 21 year sentence. This is not, however, the type of 21-year sentence we expect in the US. 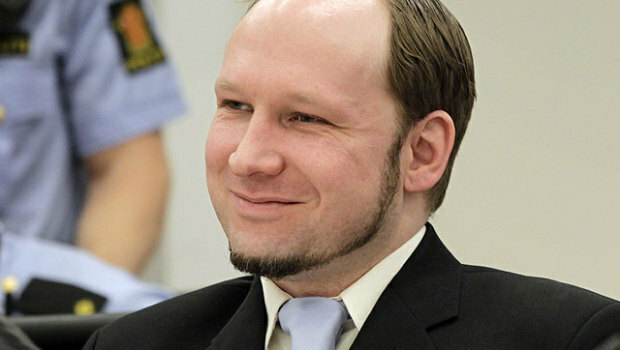 After those 21 years, Mr. Breivik will earn his freedom only by convincing the courts he has rehabilitated. If he fails to meet this condition, he will remain in prison for another period. After that, the courts will once again gauge his rehabilitation. The process continues until Mr. Breivik either dies or convinces the court he poses no danger to society. From a purely rational perspective, the Norwegian prison representative is absolutely correct. Norway profits from turning a financial liability into a productive member of society, profits from taking that which was destructive and rendering it (Mr. Breivik) an asset. The Norwegians, in this way, cannot suffer a Tookie Williams-type waste of humanity. In any material sense, an Anders Breivik who sells camera equipment and dotes on his nephew beats a dead or perpetually imprisoned Anders Breivik. However, this leaves aside the psychic benefits people gain from the satiation of their righteous anger, their desire for retributive bloodletting and for the moral desire to see one who has caused suffering to suffer himself. Who does not think of Mr. Breivik cheerfully executing high school aged children and fantasize about slipping that deadly needle into his arm? Who does not picture Mr. Breivik setting off bombs and wish to gloat as high voltage cooks his organs and stops his heart. Who doesn’t want to see a firing squad wipe that insipid, smug little smile from his face? It is important to note that, objectively, this path of vengeance has no practical value. The death penalty is not an effective warning against others, if anything, it is the opposite. It does not save money and cannot save money unless politicians modify the system to eliminate appeals. Eliminating appeals, to understate greatly, is not a good idea in the case of capital crimes. It will also not comfort the victims. But this is not only about the death penalty – the same problems apply to life imprisonment as well. So we face quandaries. Do we see in Norway a system where reason has triumphed too far over baser, more ancient emotional desires, regardless of superior recidivism rates? Does the satiation of our drive towards vengeance actually have psychic value? Since the world does not gain, in any material sense, from Mr. Breivik’s death, does the “material sense” even matter?